Congratulations! You have just taken your first step towards a career—learning to master the wonderful world of window tinting. This unique art form has been kept a secret for many years, and only the "best of the best" have been able to perfect their skills, mainly through trial and error...until now. Our Master Installer/Instructor, who has been in this field for over 25 years, has perfected these techniques and will teach you these "tricks of the trade." He has tinted over 15,000 vehicles and has installed over 500,000 square feet of flat glass tinting with his well-known "near flawless" applications. The best part about our training course(s) is all of your tuition fees can ultimately become FREE! …yes, please let us explain. After your graduation, you will obviously need to purchase film in order to perform your installations, and of course you are welcome to choose any supplier you wish and are under no obligation from us, however, if you choose to purchase film from our recommend supplier/sponsor, then in addition to receiving our negotiated lowest "dealership level" pricing on your behalf, they have also agreed to grant you (my students only) an additional 10% savings up until that total savings amount has equaled your cost of the window tinting course(s) itself. At that time, the 10% discount program will be discontinued, however, you will still receive the dealership level pricing for window film ongoing…it’s that simple! So you see, ultimately all of your window tinting training fees can become FREE! Please contact us for the complete details on how to become a dealer TODAY! All of us here at Windowtinting.com feel this will be the first and last course you will ever need in learning these well-kept secrets. Why, you ask? Because the learning never stops, even after the course ends. This means, after your graduation, you will have earned the status level to be part of our family and will be able to contact your instructor personally, through our toll-free 800 number (or e-mail address) and discuss anything you'd like or trouble-shoot any problems you may have for as long as you need! We offer this to prove how strongly we feel in our efforts to insure that you will be the best possible window tinter now...and in the years to follow! In addition to this, Windowtinting.com will also give you our school's own Guarantee Policy. Which means, if you feel that you did not fully understand any or all of this course, you will then have the opportunity for more hands-on training of any lessons taught, for up to an additional five business days of instructional time Free-of-Charge*!!! This will guarantee you'll know we are serious about teaching our secrets and to prove our only motivation is to truly see you learn this wonderful and highly profitable art form. Rest assured after learning our proven techniques, you will be able to demonstrate to everyone, you are one of the many proud Windowtinting.com graduates!!! If you have any doubts about us, please understand that most other courses would mainly be taught by an average everyday installer who would probably only demonstrate what they know and not focus on the most important aspect of what you should know. As well as, some other "get you in-and-out" courses offered by most tinting companies, which would probably only show you just enough to "get by"...but are mainly interested in how much tint you're going "to buy"... not with us! An experienced instructor who will personally guide you through your hands-on-training carefully and patiently teaches our courses. He won't leave you in the dark by trying memory exercises on you, or pressuring you to buy something that you didn't come here for in the first place. So remember, don't be fooled by the concept of learning these technical skills by a "Do-it-Yourself" video or some other "on-line" course. You might think you are saving money that way, but bottom line is that type of learning is and always will be "non-interactive." Think about the last time you had a question, and no one was there to answer it for you face-to-face...we will!!! 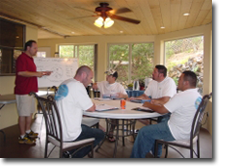 At Windowtinting.com you will receive your own "Training Manual" that contains detailed instructions and illustrations to use during and after our course. That's right! This manual will be yours to keep in order for you to review what you have learned at your convenience. We believe this will be an experience of a lifetime, that you would receive no where else in the world! At Windowtinting.com, our main goal and focus is to make sure you understand our techniques, and to teach you the "tricks of the trade"...We're here to simply be the best private training course you'll ever find or will ever need...that's a promise. *See the Student Agreement Terms & Conditions for more details. How many students are interested (even if just for yourself)? What course(s) you wish to register for and briefly explain why. What city & state you are requiring an instructor to come to? What date(s) you are interested in? We will respond to you with a price quote including traveling expenses & course fees.